Just being at #icorphan was a privilege. Sitting on a panel with five other amazing bloggers to discuss online activism was an absolute honor. 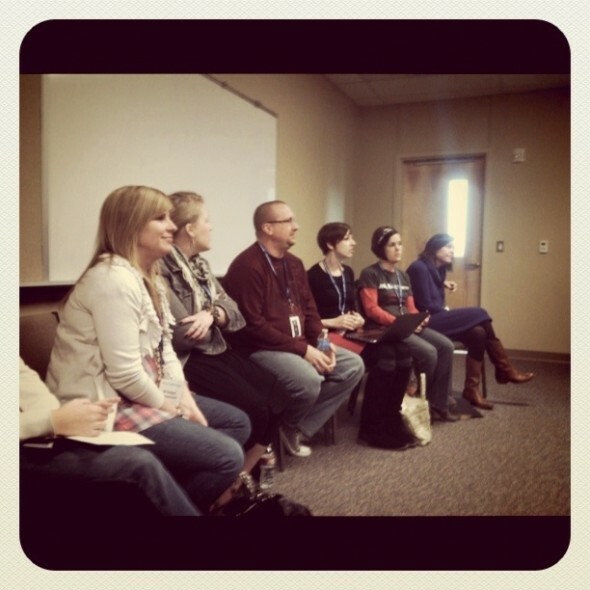 The panel: (l-r in the image) Kristen Howerton, Elora Ramirez, me, Amber Haines, Kristen Welch, and Lindsey Nobles. 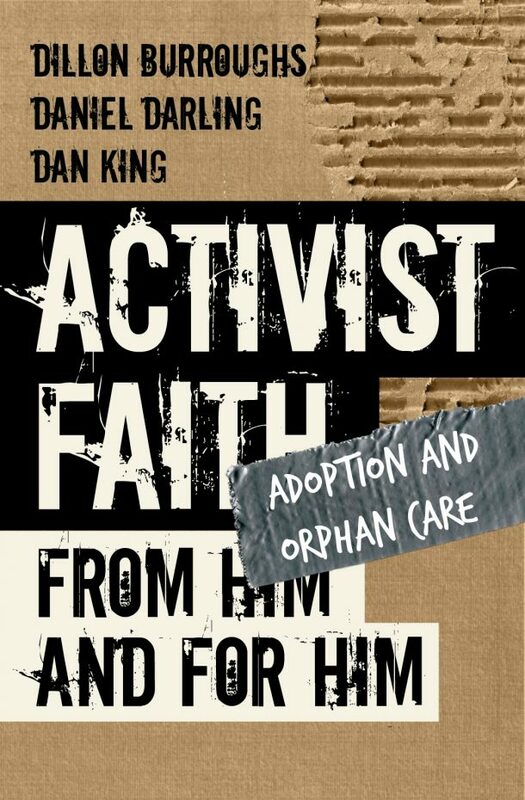 Our goal: To wrestle with ideas about how bloggers talk about orphan care. It’s easy to fall into the trap of posting ‘fly in the eye’ images and stories designed to tug at heartstrings and (hopefully) rally support. But is that the right thing to do? Readers can easily grow weary when bombarded by sad stories where the only goal is to get them to pull out the checkbook. Where do we find balance? But during the discussion at #icorphan the panel and other attendees tossed around ideas regarding how to effectively tell the story of the orphan without causing the dreaded ‘compassion fatigue’ with our readers. Some talked about how they think we should only tell they joyful stories of hope and redemption. But that seemed somehow out of balance.. So others shared that they want to hear about the pain and suffering, because that’s the reality of their situation. But that brought us back to the other side of the pendulum. Then one participant said something that struck a chord with me. She talked about what hope really means. When we think of hope, we often only focus on the sunny side of the definition. We think about the desired outcome, and how things could be. But the reality of ‘hope’ is that the one desiring something different still lives in the undesirable situation. The participant at the panel discussion described hope as be raw, gritty, and even nasty sometimes. The reality of hope is that pain and suffering exist, but that there is a way out… there is a ‘could be’. Maybe the right approach isn’t to avoid one side of the pendulum or the other. Maybe the best story tells the truth about the evil and the good that exists in this world. Maybe getting into the story… the very personal story of the orphan is what matters the most. I know a boy in Haiti that wants to be a doctor when he grows up so that he can help other people get better when they’re sick. But that boy’s reality is that he’ll likely never get the education that he needs in order to live his dreams. He’s a vibrant young man full of hopes and dreams, but one who still lives in a situation that’ll continue to drag him down unless something changes. The kind of change that comes when people like us step into the story. These are the stories that I want to tell. I didn’t get a chance to bring it up in that session, mostly because I didn’t really know what my point was, but all I could think about was Matt & Ginny Mooney’s blog about their son. 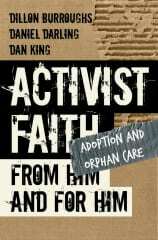 When I was getting ready for #icorphan, I researched almost all of the guides to see who would be talking about what. I came into their story at the end. Or, rather, at a new beginning (“every new beginning comes from some other beginning’s end”), albeit a tragic one. I’m not sure what compelled me to track back to the beginning of the blog, but I did. I went all the way back to the start and read every.single.post. as though I owed it to them to bear some of the burden of their pain. I did it voluntarily even though I already knew the outcome would not be a happy one. This is a great picture of the kind of ‘hope’ that I think of when it comes to telling the story of the oppressed, suffering, and hurting of the world. It’s a good example of the idea that hope is gritty and tough… but has a way of showing up unexpectedly even in the difficult stories. Thank you for sharing this Shay! Great perspective on this discussion! The story, the honest story, is allowed to be sad, hopeful, heartbreaking and wonderful all at the same time. Your description of the boy in Haiti is a perfect example. And your call to action for “people like us” is the key. As storytellers we waste a lot of time and energy trying to contrive a story to a specific purpose. When we just let them be what they are, they can be most effective. Sometimes we just need to let the story tell itself while we get out of the way and not try to make something happen. You are SO on the money here about how we try to contrive the story for a specific purpose. Thanks for the perspective Sandra! i really enjoyed hearing the panel’s perspective at #ICOrphan and i also loved hearing from the other writers and readers in the room. i guess that’s what i appreciated so much about the camp, that ideas could be heard regardless of status or platform. I too left encouraged and hopeful that what we are doing is offering hope. whether it be the hope we thought it would be or the hope it’s become. thanks for this post Dan. this is the beauty of @theideacamp! it’s a really collaborative space where ideas can be discussed and shared openly. i this session i was one of the ‘experts’ but also learned as much from the conversation as the participants did. in fact… i think that you may have been one of the people that helped with this ‘gritty’ definition of hope… so props to you for helping to inspire this post! i thought i recognized my life lessons in those words! lol:) Allowing God to shift perception is one of the toughest things in the life of a Christ follower. it truly is repentance, a revolution of the mind and the thing that allows us to experience this freedom he offers. Good stuff! Just a correction to the record here, I wasn’t saying that we should “only” tell stories of the hope and joy, my point was the exact opposite. We should have a balance. As a guy, I responded more to the images and videos of the families who were hugging their child for the first time, to see success stories of how adoption has changed someone’s life (compared to what it probably would have been.) If we’re worried about compassion fatigue, then maybe we aren’t sharing enough of the positve stories? Some release to the “could be” tension created could help add a breath of fresh air to the conversation. It was a great conference and panel discussion. I was helped by a comment from Kristen after the session on I could how to write to compell others to care for orphans. She wisely said I should write about what compelled me, that’s the best story anyone could tell. Yeah… if I recall correctly… it wasn’t you that was ‘out of balance’… I think that you were one of the solid voices of reason in there that brought a great perspective. I do remember some people in the room stating that they wanted to hear the extremes, and I’m not sure that was the right thing. So I think that you are right on with what you’re saying here. Thanks for jumping into the conversation here too! Now I’ve got to go visit your blog and get to know you more there too!